For other uses, see Bel canto (disambiguation). Bel canto (Italian for "beautiful singing" or "beautiful song", pronounced [bɛl ˈkanto]), along with a number of similar constructions ("bellezze del canto"/"bell'arte del canto"), is a term relating to Italian singing. It has several different meanings and is subject to a wide variety of interpretations. The words were not associated with a "school" of singing until the middle of the 19th century, when writers in the early 1860s used it nostalgically to describe a manner of singing that had begun to wane around 1830. Nonetheless, "neither musical nor general dictionaries saw fit to attempt [a] definition [of bel canto] until after 1900". The term remains vague and ambiguous in the 21st century and is often used to evoke a lost singing tradition. vibrato primarily reserved for heightening the expression of certain words and for gracing longer notes. Since the bel canto style flourished in the 18th and early 19th centuries, the music of Handel and his contemporaries, as well as that of Mozart and Rossini, benefits from an application of bel canto principles. Operas received the most dramatic use of the techniques, but the bel canto style applies equally to oratorio, though in a somewhat less flamboyant way. The da capo arias these works contained provided challenges for singers, as the repeat of the opening section prevented the story line from progressing. Nonetheless, singers needed to keep the emotional drama moving forward, and so they used the principles of bel canto to help them render the repeated material in a new emotional guise. They also incorporated embellishments of all sorts (Domenico Corri said da capo arias were invented for that purpose [The Singer's Preceptor, vol. 1, p. 3]), but not every singer was equipped to do this, some writers, notably Domenico Corri himself, suggesting that singing without ornamentation was an acceptable practice (see The Singer's Preceptor, vol. 1, p. 3). Singers regularly embellished both arias and recitatives, but did so by tailoring their embellishments to the prevailing sentiments of the piece. For much of the 18th century castrati defined the art of singing; it was the loss of their irrecoverable skills that in time created the myth of bel canto, a way of singing and conceptualizing singing that was entirely different from anything that the world had heard before or would hear again. In another application, the term bel canto is sometimes attached to Italian operas written by Vincenzo Bellini (1801–1835) and Gaetano Donizetti (1797–1848). These composers wrote bravura works for the stage during what musicologists sometimes call the "bel canto era". But the style of singing had started to change around 1830, Michael Balfe writing of the new method of teaching that was required for the music of Bellini and Donizetti (A New Universal Method of Singing, 1857, p. iii), and so the operas of Bellini and Donizetti actually were the vehicles for a new era of singing. The last important opera role for a castrato was written in 1824 by Giacomo Meyerbeer [1791–1864]. The phrase "bel canto" was not commonly used until the latter part of the 19th century, when it was set in opposition to the development of a weightier, more powerful style of speech-inflected singing associated with German opera and, above all, Richard Wagner's revolutionary music dramas. Wagner (1813–1883) decried the Italian singing model, alleging that it was concerned merely with "whether that G or A will come out roundly". He advocated a new, Germanic school of singing which would draw "the spiritually energetic and profoundly passionate into the orbit of its matchless Expression". Interestingly enough, French musicians and composers never embraced the more florid extremes of the 18th-century Italian bel canto style. They disliked the castrato voice and because they placed a premium on the clear enunciation of the texts of their vocal music, they objected to the sung word being obscured by excessive fioritura. The popularity of the bel canto style as espoused by Rossini, Donizetti and Bellini faded in Italy during the mid-19th century. It was overtaken by a heavier, more ardent, less embroidered approach to singing that was necessary in order to perform the innovative works of Giuseppe Verdi (1813–1901) with maximum dramatic impact. Tenors, for instance, began to inflate their tone and deliver the high C (and even the high D) directly from the chest rather than resorting to a suave head voice/falsetto as they had done previously—sacrificing vocal agility in the process. Sopranos and baritones reacted in a similar fashion to their tenor colleagues when confronted with Verdi's drama-filled compositions. They subjected the mechanics of their voice production to greater pressures and cultivated the exciting upper part of their respective ranges at the expense of their mellow but less penetrant lower notes. Initially at least, the singing techniques of 19th-century contraltos and basses were less affected by the musical innovations of Verdi, which were built upon by his successors Amilcare Ponchielli (1834–1886) and Arrigo Boito (1842–1918). One reason for the eclipse of the old Italian singing model was the growing influence within the music world of bel canto's detractors, who considered it to be outmoded and condemned it as vocalization devoid of content. To others, however, bel canto became the vanished art of elegant, refined, sweet-toned musical utterance. 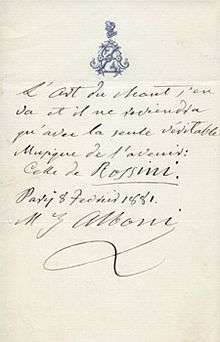 Rossini lamented in a conversation that took place in Paris in 1858 that: "Alas for us, we have lost our bel canto". Similarly, the so-called German style was as derided as much as it was heralded. In the introduction to a collection of songs by Italian masters published in 1887 in Berlin under the title Il bel canto, Franz Sieber wrote: "In our time, when the most offensive shrieking under the extenuating device of 'dramatic singing' has spread everywhere, when the ignorant masses appear much more interested in how loud rather than how beautiful the singing is, a collection of songs will perhaps be welcome which – as the title purports – may assist in restoring bel canto to its rightful place." In the late-19th century and early-20th century, the term "bel canto" was resurrected by singing teachers in Italy, among whom the retired Verdi baritone Antonio Cotogni (1831–1918) was a pre-eminent figure. Cotogni and his followers invoked it against an unprecedentedly vehement and vibrato-laden style of vocalism which was increasingly being adopted by singers after around 1890 in order to meet the impassioned demands of verismo writing by composers such as Giacomo Puccini (1858–1924), Ruggero Leoncavallo (1857–1919), Pietro Mascagni (1863–1945) and Umberto Giordano (1867–1948), as well as the auditory challenges posed by the non-Italianate stage works of Richard Strauss (1864–1949) and other late-romantic/early-modern era composers, with their strenuous and angular vocal lines and frequently dense orchestral textures. During the 1890s, the directors of the Bayreuth Festival initiated a particularly forceful style of Wagnerian singing that was totally at odds with the Italian ideals of bel canto. Called "Sprechgesang" by its proponents (and dubbed the "Bayreuth bark" by some opponents), the new Wagnerian style prioritized articulation of the individual words of the composer's libretti over legato delivery. This text-based, anti-legato approach to vocalism spread across the German-speaking parts of Europe prior to World War I. As a result of these many factors, the concept of bel canto became shrouded in mystique and confused by a plethora of individual notions and interpretations. To complicate matters further, German musicology in the early 20th century invented its own historical application for "bel canto", using the term to denote the simple lyricism that came to the fore in Venetian opera and the Roman cantata during the 1630s and '40s (the era of composers Antonio Cesti, Giacomo Carissimi and Luigi Rossi) as a reaction against the earlier, text-dominated stile rappresentativo. Unfortunately, this anachronistic use of the term bel canto was given wide circulation in Robert Haas's Die Musik des Barocks and, later, in Manfred Bukofzer's Music in the Baroque Era. Since the singing style of later 17th-century Italy did not differ in any marked way from that of the 18th century and early 19th century, a connection can be drawn; but, according to Jander, most musicologists agree that the term is best limited to its mid-19th-century use, designating a style of singing that emphasized beauty of tone and technical expertise in the delivery of music that was either highly florid or featured long, flowing and difficult-to-sustain passages of cantilena. In the 1950s, the phrase "bel canto revival" was coined to refer to a renewed interest in the operas of Donizetti, Rossini and Bellini. These composers had begun to go out of fashion during the latter years of the 19th century and their works, while never completely disappearing from the performance repertoire, were staged infrequently during the first half of the 20th century, when the operas of Wagner, Verdi and Puccini held sway. That situation changed significantly after World War II with the advent of a group of enterprising orchestral conductors and the emergence of a fresh generation of singers such as Montserrat Caballé, Maria Callas, Joan Sutherland, and Marilyn Horne, who had acquired bel canto techniques. These artists breathed new life into Donizetti, Rossini and Bellini's stage compositions, treating them seriously as music and re-popularizing them throughout Europe and America. 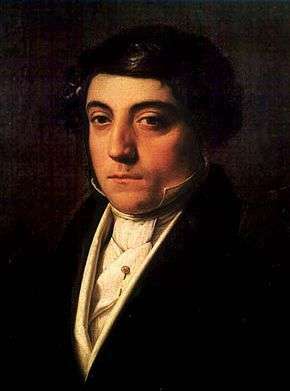 Today, some of the world's most frequently performed operas, such as Rossini's The Barber of Seville and Donizetti's Lucia di Lammermoor, are from the bel canto era. Many 18th-century operas that require adroit bel canto skills have also experienced post-war revivals, ranging from lesser-known Mozart and Haydn to extensive Baroque works by Handel, Vivaldi and others. Musicologists occasionally apply the label "bel canto technique" to the arsenal of virtuosic vocal accomplishments and concepts imparted by singing teachers to their students during the late 18th century and the early 19th century. Many of these teachers were castrati. "All [their] pedagogical works follow the same structure, beginning with exercises on single notes and eventually progressing to scales and improvised embellishments" writes Potter who continues, "The really creative ornamentation required for cadenzas, involving models and formulae that could generate newly improvised material, came towards the end of the process." The general tendency ... was for singers not to have been taught by castrati (there were few of them left) and for serious study to start later, often at one of the new conservatories rather than with a private teacher. The traditional techniques and pedagogy were still acknowledged, but the teaching was generally in the hands of tenors and baritones who were by then at least once removed from the tradition itself. Early 19th-century teachers described the voice as being made up of three registers. The chest register was the lowest of the three and the head register the highest, with the passaggio in between. These registers needed to be smoothly blended and fully equalized before a trainee singer could acquire total command of his or her natural instrument, and the surest way to achieve this outcome was for the trainee to practise vocal exercises assiduously. Bel canto-era teachers were great believers in the benefits of vocalise and solfeggio. They strove to strengthen the respiratory muscles of their pupils and equip them with such time-honoured vocal attributes as "purity of tone, perfection of legato, phrasing informed by eloquent portamento, and exquisitely turned ornaments", as noted in the introduction to Volume 2 of Scott's The Record of Singing. 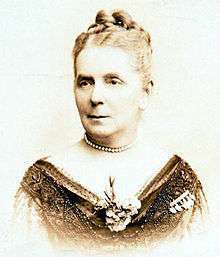 Sir Charles Santley (born 1834), Gustav Walter (born 1834), Adelina Patti (born 1843), Marianne Brandt (born 1842), Lilli Lehmann (born 1848), Jean Lassalle (born 1847), Victor Maurel (born 1848), Marcella Sembrich (born 1858), Lillian Nordica (born 1857), Emma Calvé (born 1858), Nellie Melba (born 1861), Francesco Tamagno (born 1850), Francesco Marconi (born 1853), Léon Escalais (born 1859), Mattia Battistini (born 1856), Mario Ancona (born 1860), Pol Plançon (born 1851), and Antonio Magini-Coletti and Francesco Navarini (both born 1855). "There are no registers in the human singing voice when it is accurately produced. According to natural laws of voice, it is made up of one register that constitutes its entire range"
"Bel-canto is not a school of sensuously pretty voice-production. It has come to be a generally recognised thing that voice, pure and simple, by its very composition, or "placing", interferes with the organs of speech; making it impossible for a vocalist to preserve absolute purity of pronunciation in song as well as in speech. It is because of this view that the principle of "vocalising" words, instead of musically "saying" them, crept in, to the detriment of vocal art. This false position is due to the idea that the 'Arte del bel-canto' encouraged mere sensuous beauty of voice, rather than truth of expression." "Bel-canto (of which we read so much) meant, and means, versatility of tone; if a man wish to be called an 'artist', his voice must become the instrument of intelligent imagination. Perhaps there would be fewer cases of vocal-specialising if the modern craze for 'voice-production' (apart from linguistic truth) could be reduced. This wondrous pursuit is, as things stand, a notable instance of putting the cart before the horse. Voices are 'produced' and 'placed' in such wise that pupils are trained to 'vocalise' (to use technical jargon) the words; i.e., they are taught to make a sound which is indeed 'something like' but is not the word in its purity. 'Tone' or sound is what the average student seeks, ab initio and not verbal purity. Hence the monotony of modern singing. When one hears an average singer in one role, one hears him in all." "Those who regard the art of singing as anything more than a means to an end, do not comprehend the true purpose of that art, much less can they hope ever to fulfil that purpose. The true purpose of singing is to give utterance to certain hidden depths in our nature which can be adequately expressed in no other way. The voice is the only vehicle perfectly adapted to this purpose; it alone can reveal to us our inmost feelings, because it is our only direct means of expression. If the voice, more than any language, more than any other instrument of expression, can reveal to us our own hidden depths, and convey those depths to other souls of men, it is because voice vibrates directly to the feeling itself, when it fulfils its 'natural' mission. By fulfilling its natural mission, I mean, when voice is not hindered from vibrating to the feeling by artificial methods of tone production, which methods include certain mental processes which are fatal to spontaneity. To sing should always mean to have some definite feeling to express." "The decline of Bel Canto may be attributed in part to Ferrein and Garcia who, with a dangerously small and historically premature knowledge of laryngeal function, abandoned the intuitive and emotional insight of the anatomically blind singers." "Voice Culture has not progressed [...]. Exactly the contrary has taken place. Before the introduction of mechanical methods every earnest vocal student was sure of learning to use his voice properly, and of developing the full measure of his natural endowments. Mechanical instruction has upset all this. Nowadays the successful vocal student is the exception." 1 2 3 Stark 2003, p. ? ↑ Duey 1951, p. ? ↑ Fischer, J. M. (1993). "Sprechgesang oder Belcanto". Grosse Stimmen: 229–91. ↑ Hass 1928, p. ?? ↑ Bukofzer 1947, p. ?? ↑ Marafoti 1981, p. ?? Duey, Philip A. (1951). Bel canto in its Golden Age. Da Capo Press. ISBN 978-1-4067-5437-7. Brown, M. Augusta (1894), University of Pennsylvania "Extracts From Vocal Art" in The Congress of Women, Mary Kavanaugh Oldham (ed. ), Chicago: Monarch Book Company, p. 477. Coffin, Berton (2002), Sounds of Singing, Second Edition, Littlefield. Christiansen, Rupert (15 March 2002), "A tenor for the 21st century", The Daily Telegraph Accessed 3 November 2008. Scalisi, Cecilia (November 10, 2003), "Raúl Giménez, el maestro del bel canto", La Nación. Accessed 3 November 2008. Garcia, Manuel; Garcia, Beata, (trans.) (1894). Hints on singing, London: E. Ascherberg. Greene, Harry Plunket (1912), Interpretation in Song. New York: The Macmillan Company. Lehmann, Lilli; Aldrich, Richard, (trans.) (1902), How to sing, New York: Macmillan & Co. Ltd.